Despite the frosty temperatures, Barnard No Aramark exceeded its goal for petition signees. The petition, which received over 1,000 signatures, asked signees to pledge their opposition to Aramark, a multi-billion dollar corporation which provides “food, facilities, and uniform” services to various institutions and is currently responsible for food services at Barnard. Barnard No Aramark believes that Aramark’s track record of unsanitary food services and employee misconduct should disqualify it from a contract with the college. The group is particularly concerned about Aramark’s relationships with public prisons and claims of food infestation levied against the corporation. This latest manifestation of Barnard student activism feeds into a larger tradition of students fighting to hold their college accountable for its financial practices. In Barnard’s recent past, students have attempted to make their college the most ethically and socially responsible institution possible, and Barnard No Aramark is writing itself into this tradition, even as its attempt to influence Barnard’s fiscal decisions remains uncertain. The decision about whether Barnard will renew its contract with Aramark—a decision which is slated to be finalized in March 2019—becomes more pressing as we inch closer to the spring. 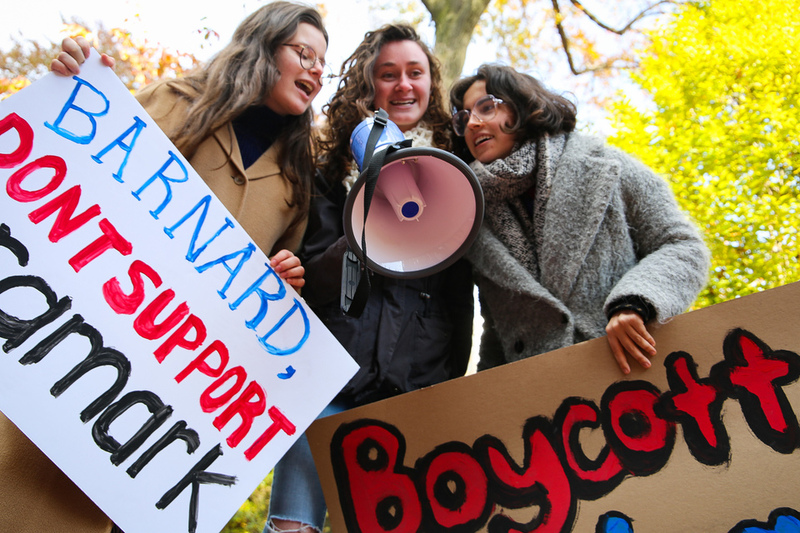 Now, in February, Barnard No Aramark wonders whether its November protest had a lasting impact. By looking at Barnard students’ history of social activism, we can contextualize Barnard No Aramark’s fight, which gives us a framework to ask the question: Is Barnard’s administration likely to take Barnard No Aramark’s views into account in a few weeks time? When I stop by the Barnard No Aramark table on the afternoon of the protest, Aggarwal is sitting cross-legged on the ground. A megaphone and a laptop are comfortably within reach. Hand-painted posters are fanned out on the ground around her as she twists her torso to type on the computer. “Tanisha has a deadline in 10 minutes,” Maeve Flaherty, a sophomore at Columbia College, tells me, as she spoons turkey chili into her mouth. Flaherty is the other co-head of Barnard No Aramark and a member of the Roosevelt Institute, a think tank that works on progressive policy-making. Aggarwal waves at me and then turns back, hurriedly typing. Flaherty’s turkey chili is from Pret A Manger. The café is an equally popular choice with the rest of the Barnard No Aramark team: On the day of the boycott, there are empty Pret paper bags sitting on the table next to open laptops and water bottles. Both Flaherty and Aggarwal got the exact same lunch from Pret that afternoon: turkey chili and mac and cheese with squash. Flaherty tells me that students have been walking by their table all day, proudly pointing to food they had bought from restaurants and cafés around the broader Morningside Heights area. These students are buying food off-campus because Aramark runs all dining locations on Barnard’s campus: Hewitt Dining Hall, the Diana Center Cafe, Liz’s Place, and Peet’s Coffee. The timing of the boycott isn’t random. Aramark’s 10-year food services contract with Barnard expired at the end of 2018. The new contract will be announced in March 2019, and Barnard Chief Operating Officer Rob Goldberg is currently collaborating with JGL Foodservice Consultants to receive bids from all corporations interested in providing food for Barnard. The boycott was only scheduled for one day, Flaherty tells me, for multiple reasons. For one, Hewitt is the primary dining station serving kosher food, and a sustained boycott runs the risk of isolating the kosher food community on campus. Plus, the boycott is only a symbolic gesture. Barnard students are required to purchase a meal plan, which means that their money has already gone to Aramark independent of whether the students eat in the dining locations or not. Barnard No Aramark, however, is attempting to translate symbolism into concrete action. In an op-ed published in Spectator in November, Barnard No Aramark claimed that it was opposed to Barnard renewing its contract with Aramark for three main reasons. Karen Cutler, vice president for corporate communications at Aramark, denied the claims made against the company in a statement emailed to The Eye. Cutler claimed that Aramark food has never been infested in any of its facilities. She also claimed that criticisms levied against Aramark are the work of special interest groups opposed to privatization. In their writing, however, the members of Barnard No Aramark did not mention their opposition to privatization; rather, they were opposed to having a company with a vested interest in mass incarceration operating on their campus. The third prong of Barnard No Aramark’s list of grievances against Aramark was employee misconduct. In Michigan, Aramark’s contract was also suspended for “allegations of sexual activity between employees and prisoners.” The Columbus Dispatch reported that in Ohio, 300 Aramark employees were dismissed for inappropriate conduct. It has also been reported that Aramark has a poor track record of employee misconduct at universities. Staffers have claimed to have been treated poorly, which was true even on Columbia’s campus when Aramark handled custodial workers in 1997. The chant "Hey, hey, ho, ho, Aramark's got to go” rang through campus 21 years ago when Columbia workers protested the presence of Aramark on campus. Aramark had been hired to supervise custodians and maintenance workers, but the workers maintained that the management firm was creating a "chaotic work environment” on campus. These voices coalesced in spring 2018, determined to get the administration’s attention. Aggarwal learned about Aramark’s record and issues with unethical practices early last spring. She teamed up with Elena Fineberg, who graduated from Barnard last year, with the goal of fostering dialogue on campus around this issue. They wanted other people to be aware of Aramark and its poor practices, and started by creating a Facebook group and setting up a meeting with Barnard’s vice president of campus services, Dean Gail Beltrone. Beltrone also told Aggarwal and Fineberg about how the contract process would work and how it had been managed over the years. She told them the dining services employees were hired by Aramark and not by Barnard. Aggarwal digested all of this information and when she came back to Barnard at the start of the fall semester, approached the Columbia chapter of the Roosevelt Institute. Members of the Roosevelt Institute, including Flaherty, told Aggarwal they were on board. They concretized a team that would be committed to working on the issue. Meetings were scheduled for every Tuesday night. They started to plan. Even though the protest planning only started at the beginning of this semester, the group draws on a history that stretches back much further. 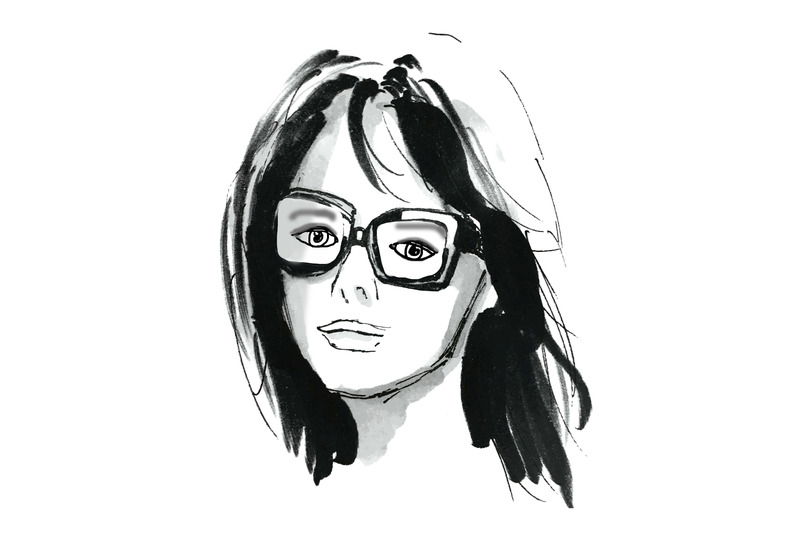 The place of corporations on campus—either through visible services or through the investment of the college’s endowment—has always proven to be an important point of contention for Barnard students. In December 2017, for instance, Barnard announced that it would be joining the Workers Rights Consortium, an organization that monitors labor rights, following protests by Student-Worker Solidarity and other concerned students. This move was made after students learnt the WRC accused Anvil, the company that supplied Barnard’s official college apparel, of unlawfully firing workers. Student-Worker Solidarity brought the issue up with Barnard’s Student Government Association and requested that the group send a statement to the Barnard administration advocating for Barnard to join the WRC. After SGA voted to issue a statement to the Barnard administration in October 2017 requesting that it join the WRC, SGA’s statement received 95.5% approval from the council and was sent to Goldberg. Scocozza’s statement also encourages students to reach out to the SGA’s Food Advisory Board with their concerns. SGA representative Yeliz Sezgin, a second-year at Barnard, declined to comment for this piece in order to maintain neutrality. 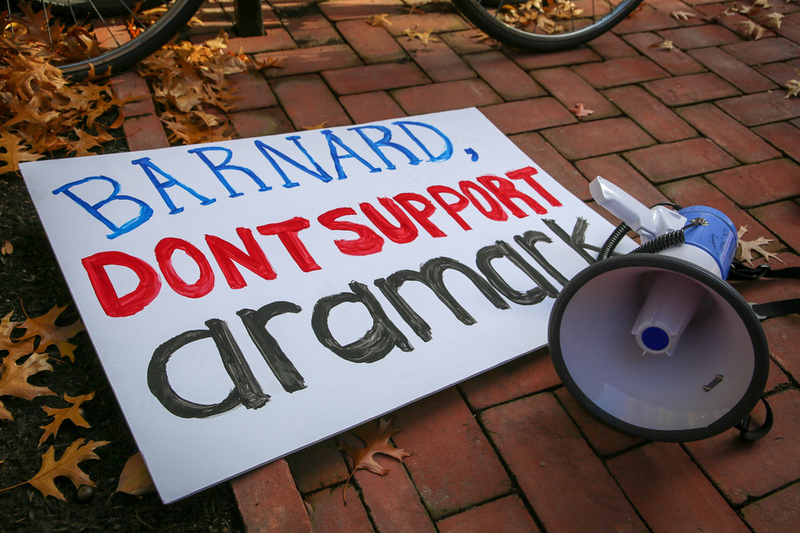 Barnard No Aramark’s campaign is situated within a larger tradition of contentious contractual relationships between the school and corporations; it is also related to Barnard students’ activism around ethical endowment investment. The fossil fuel divestment and the Boycott, Divestment and Sanctions movements have captured the Barnard student body’s attention in recent years. Both of these movements, like the WRC protests and the No Aramark protest, are focused on holding Barnard’s fiscal practices to an ethical standard. In the case of the fossil fuel divestment campaign, the Barnard student group Divest Barnard was a key motivating force in the Barnard administration’s decision to divest from companies that produce fossil fuels. In 2015, the group suggested the administration create a Presidential Task Force to examine the different divestment methods Barnard could implement, and outlined an 18-month timeline that would allow the task force the time to consider all options. After the Presidential Task Force was formed and conducted its research, Barnard accepted its suggestion to divest from fossil fuel in March 2017. 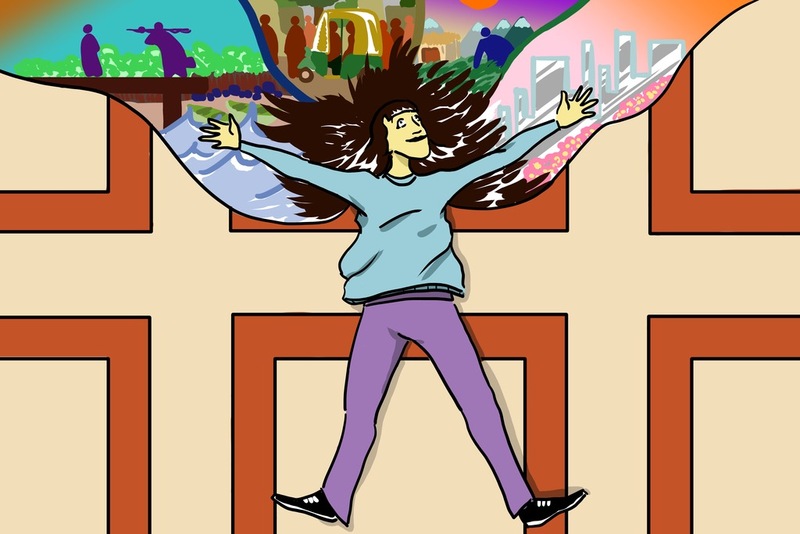 About a year after Barnard decided to divest from fossil fuels, many Barnard students organized around the BDS movement on campus. Following these displays of student activism, SGA held a referendum last April where students voted on whether they wanted the college to divest from companies that “profit from or engage in the State of Israel’s treatment of Palestinians,” according to an email SGA sent out to the student body. The referendum passed with a pro-divestment majority of 64.3%. But even before the vote, during the referendum period, President Sian Beilock emailed Barnard students to inform them the college would not take action on divestment, even if asked to do so by SGA. Despite this, SGA sent a letter to the administration informing them of the vote. Beilock reaffirmed the college’s decision to not take action on divestment, but thanked SGA for serving as a venue for important discussions. Despite the success of the fossil fuel divestment movement and the SWS movement, the BDS movement demonstrates that the real power lies in the hands of the administration. Ultimately, it is not obligated to take student voices into consideration, even as it encourages students to send feedback to email accounts set up solely to receive their concerns and facilitate town halls. Barnard No Aramark used all of the venues offered to it by Barnard to voice its concerns: meetings with deans, emailing members of the administration, and attending town halls. “They’re definitely very open to talking to you and meeting you and seeing what your concerns are,” Aggarwal says, in reference to the Barnard administration. And yet, the fact remains: despite the administration’s openness, Barnard has not confirmed whether or not it will be re-signing Aramark in March 2019. Faced with this uncertainty, Barnard No Aramark decided to launch a boycott in November 2018. They wanted to educate other Barnard students about Aramark and its place on Barnard’s campus. Visibility and education, therefore, were large focuses for the group. Flaherty and Aggarwal told me that, before the boycott, they placed flyers in “every single academic building, every residential hall, every dorm, [on] every door.” They printed so many flyers that one of the team member’s grandmothers donated fifteen dollars to their campaign so that they wouldn’t run out of printing dollars. On the day of the boycott, they were pleased to see multiple students approach the table and ask them about Aramark. Faculty also stopped by and expressed their support. “The number of faculty that came over and were supportive and excited to talk to us was really powerful,” Owens tells me. Cultivating awareness on campus also extended into the realm of social media. During our conversation, Aggarwal says excitedly, “We became a meme!” The meme, posted by Jade Christine in columbia buy sell memes, shows an unimpressed man with the caption “When your friend tries to talk to you after they ate at Hewitt during the boycott.” Flaherty was equally enthusiastic about the meme. Seeing the meme was a moment of realization for Flaherty; it demonstrated how effective their campaign had been. “It’s penetrated the campus conversation more than I realized,” she says. The visibility of the Barnard No Aramark campaign has been a focal point for the group, and moving forward, so is administrative transparency. The protest raises an important question: How much of the college’s identity is formed by the administration and how much is formed by student values? 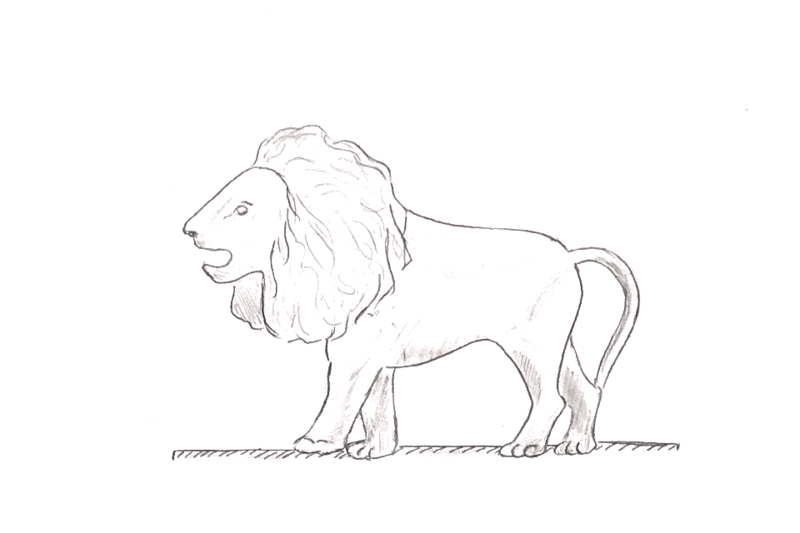 Can the latter shape the former? On the day of the boycott, Owens approached a group of 10 college-aged people who had walked through Barnard’s gates. She proceeded to give them her speech about the boycott and the reasons why they shouldn’t eat in Barnard dining locations that day. “I went on this 5-minute rant about the problems with Aramark,” she tells me. After finishing, one of the members of the group told her that they were prospective students from Newark.